Scientists from Monash University and Stockholm University have discovered that brown fat, nicknamed the ‘good fat’ because it warms up the body in cold temperatures, burning up calories in the process, also ‘hoovers up’ excess sugar. The findings, published in The Journal of Cell Biology, are significant for people with type 2 diabetes, whose bodies are unable to respond to insulin properly, resulting in elevated blood glucose levels. Researchers believe that if brown fat cells can be activated, blood glucose levels could be controlled without the need for daily insulin injections. “Brown fat was discovered in adults a few years ago and now research is taking place world-wide to understand why some adults have it and others don’t,” he said. “In theory if we can find out how to stimulate brown fat into action, we could use it, not only to manage obesity, but type 2 diabetes too. Our findings are at a very early stage but they show real potential to find a new way to manage this disease,” Dr Sato said. Previously brown fat was thought to be present only in animals and babies, but PET scans of adult patients in 2007 proved otherwise. Located on the back, the upper half of the spine and the shoulders, younger people are more likely to have brown fat than people who are overweight or obese. Brown fat is also known to increase in cold weather and decline in warm environments. By observing cells, the research team found that following application of a drug that mimics cold exposure, brown fat produces large amounts of a protein that transports glucose into cells, and importantly does so independently of the way insulin transports glucose into these cells. Closer analysis showed brown fat cells produced 10 times the amount of glucose transporters than insulin. 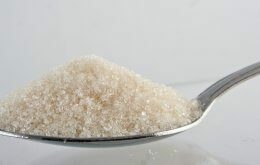 “We know brown fat absorbs excess glucose in the blood at a much more efficient rate than other mechanisms the body. Unfortunately If you’re diabetic you’re far less likely to have it,” Dr Hutchinson said. “If we can uncover the mystery of why some people have brown fat, we can then look to develop ways to stimulate its growth,” Dr Hutchinson said. Potentially the research could lead to a completely new medicine to treat type 2 diabetes, offering an alternative to daily insulin injections. The next phase of research will see the team investigate the impact of being obese and diabetic on glucose regulation in brown fat. Read the full version of this and related stories online at Monash News. For media enquiries please contact Lucy Handford, Monash Strategic Media & Communications on +61 3 9903 4815 or +61 427 647 396.